In the face of increasing and changing cybersecurity threats, it is important for small businesses to seek out new types of cyber defenses to keep their operations secure. Two service areas that will provide critical complementary protection for your company are Domain Name Server (DNS) Protection and User Security Training. This blog post will explore why there is a need for additional protection and how your small business can best protect itself from these new cyber threats. Why is There a Need for Additional Protection? 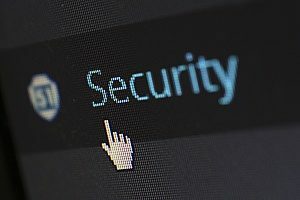 Many companies are currently using antivirus tools, firewalls, and other methods to provide endpoint security, which is critical in protecting your small business against cyberattack. However, there has been a rise in additional cybersecurity threats, such as DNS attacks, which can overcome these traditional defenses. A recent report from EfficientIP found that 77% of businesses worldwide suffered at least one DNS attack in 2018. Even more disturbing, this report found that the average business was targeted as many as seven times throughout the year. The report noted that the average cost for a successful DNS attack in 2018 was a staggering $715,000. This devastating figure is arrived at when you estimate the financial cost of lost or corrupted sensitive company information, work slowdowns and stoppages, and the damage to a business’ reputation. The domain name server or DNS is what points a certain web address to a page. Pharming and other similar attacks manipulate the DNS through “DNS Poisoning,” which involves the use of sophisticated techniques to hijack the intended website’s DNS. This method fools the user’s device or DNS server and gets past traditional anti-virus/anti-malware protection. When this happens, users without any malware on their devices are redirected to a phony website even when they type in a correct address or click on a proper link. This frighteningly effective method is known as “phishing without a lure,” as it allows cybercriminals to exploit users who are following good internet protocol by avoiding suspicious sites, links, and email messages. Using this method, cybercriminals are able to redirect many typically cautious users to their counterfeit websites and gain access to their funds and sensitive information. Most worrisome about these attacks is that they are designed to evade your business’ firewall and other traditional defenses. As noted in previous blogs, the single greatest cybersecurity threat comes from your employees. This weakness is primarily from unsafe internet and email usage both within and outside of the company network. In addition, there are security issues that arise from providing too many employees access to sensitive information as well as breaches carried out by malicious insiders. Despite constant attention and warnings from experts, these problems are worsening as cyberattacks continue to rise against companies of all sizes. A recent IBM study underlined the significance of employee-centered vulnerabilities by reporting that 58% of attacks against financial services companies and 71% of attacks against health care organizations were from malicious insiders or unwitting employees. A study by the Ponemon Institute revealed another disturbing trend by noting that 62% of employees reported that they had access to data that they probably didn’t need to have. It is important to closely monitor employee data permission policies and activities at your small business, as having more users with access to sensitive company information will result in a greater number of potential entry points for cyber criminals. In the face of these new threats and the continued problems caused by irresponsible employee internet and email behavior, your company should focus on bolstering your defenses in two areas: DNS Protection and User Security Training. When adding this complementary approach with robust traditional cybersecurity measures, your organization will enjoy the benefits of layered protection and responsible employee behavior. Using DNS protection tools provided by Webroot and other reputable companies will provide your company with an additional tier of protection complementing the typical endpoint protection. These powerful tools are designed to detect and block dangerous and questionable domains and specifically combat the insidious threats of pharming and other DNS attacks. Effective modules offer 2-phase protection as they protect users on a company network, but they also utilize an agent to offer DNS protection on every user device, even when they are operated outside the protection of the business network firewall. These tools redirect your users’ web traffic through a cloud-based, DNS security solution and will enable your company to enforce web access policies, ensure regulatory compliance, and stop most cyber threats before they reach your network or endpoints. Your company would also benefit from using an effective User Security Training tool that will educate your employees on proper internet and email behavior. These tools typically offer useful training videos, online courses, and various exercises that reinforce the most important aspects of responsible internet and email protocols, emphasize best practices with a focus on company IT policies, and educate users on regulatory compliance and data privacy issues. In addition, these modules also offer simulated phishing and other malware campaigns that can identify risky email and internet behavior at your small business. With the help of a trusted IT Support partner like Network Depot, your company can identify, install, and utilize powerful new tools in the areas of DNS Protection and User Security Training to strengthen your cybersecurity efforts. 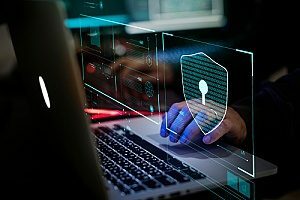 With effective cybersecurity measures already in place and these valuable enhancements, your small business will be well protected from cyber threats and will be able to keep a clear focus on meeting your organization’s core objectives.